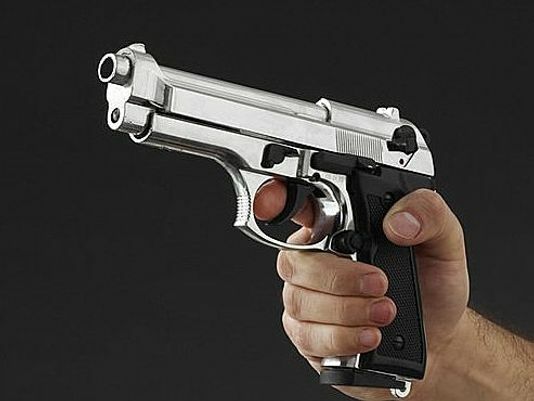 A former employee of Tata Steel Processing and Distribution, who was sacked from the company in August, allegedly shot dead a senior manager of the company on Friday afternoon, police said. Vishwas Pandey (32), who hails from Allahabad, entered the Tata Steel yard on Hardware–Bata road and shot four-five bullets into Arindam Pal (40), senior manager of supply chain at the company. Other employees rushed Pal to the hospital where doctors declared him dead on arrival, police said, adding that a search was on for Pandey’s arrest. “We received a message from the hospital. By the time we reached there, Pal was dead,” Ashok Kumar, station house officer, Mujesar police station, said. “We have registered an FIR pertaining to the case and launched a hunt for the accused who fled after committing the crime,” Kumar said. Pal’s body was kept in Badshah Khan Hospital mortuary and a postmortem will be conducted on Sunday, police said. In a statement, Tata Steel Processing and Distribution expressed its condolences to the family of Pal, who is survived by his wife, parents and a daughter. The company is extending all possible support and help to the family at this time of crisis, it said. The accused, Pandey had worked with the company from 2015 till 2018. He was discharged from services in August 2018.